Denmark has free, universal health care. One of the perks of paying 37-55% of your income in taxes, I suppose. It’s free to visit a doctor, and you pay a subsidized rate for prescriptions – not unlike the co-pay that many American insurance plans have. After many phone calls, automated recordings and unresponsive doctors, I finally attained birth control in Denmark. Health care here may be free, but it’s not particularly efficient! A few weeks ago, I noticed I was running low on birth control. No problem, I thought, I’ll just take my handy-dandy CPR card and go to the doctor. I checked with a Danish friend – no, it’s not like in Germany where you just show up at the doctor’s office hours, you have to call in advance and make an appointment. Easy peasy, right? Since it was a weekend, I waited until Monday to call. Monday afternoon, to be precise. But the phone hours are only from 8am-12pm, and there was no option to leave a message, so then I tried again Tuesday morning. I received an automated message in Danish, which I had to have a Danish friend translate for me. Turns out the doctor’s office was closed that week (stupid Danes and their five weeks of paid vacation per year.) Luckily, they had the number of another office you could go to while they were closed, so I called that instead, and was promptly met with another recording. I decided to give up and wait until the following Monday. “Yes, well, we’ve been very busy this morning,” she said sort of crossly, like it was my fault or something they’d been closed for a week. But anyway, she took me over to the reception, gave me a prescription for the closest Danish equivalent of the pill I was on, and booked me an appointment three weeks out. Success! Funny thing about Danish health care – they do EVERYTHING with your CPR card. The doctor-receptionist person told me, “okay, you’ve got the prescription, you’re all set,” and I was very confused because she hadn’t handed me a slip of paper or anything. It turns out they do everything via the computer system. You just walk into a random pharmacy and hand them your CPR card, the pharmacist scans the card, and your prescription information is already on it. Also, to check in at the doctor’s office, you run your card through a computer to let them know you’re there. It seemed strange to me because I wasn’t used to it, but now that I think about it, that’s probably the most efficient part of their whole system! 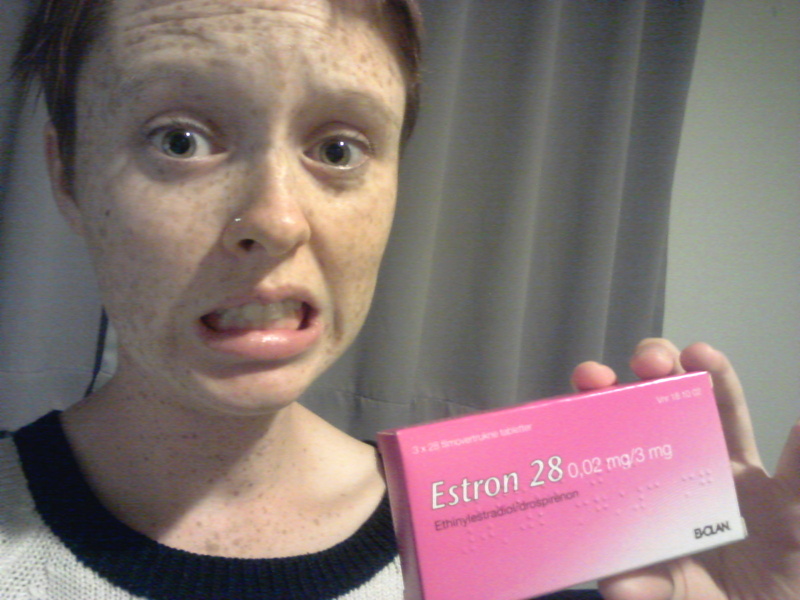 3 months of birth control cost me 160kr, or about $27. That’s not that expensive, but with my American insurance I could have gotten it for free. I do think it’s a little silly that you have to pay for birth control here. It seems to me that the system unfairly targets women. Like, it makes sense if you get sick and need 10 days of antibiotics that you should have to pay for it – it’s a one-time, low-cost thing. But birth control is something women use for years and years. In fact, for many women there are only a few years of their lives that they’re NOT using birth control. As far as I’m aware there are no free clinics, either, because all legal residents are covered by the national insurance. So I feel kind of weird about the whole thing. UPDATE: Upon reflection, I realized this blog post is very critical of the Danish system. I just want to be clear – I don’t think it’s a bad system. Yes, I had a slightly frustrating experience, but overall, I think it’s better for EVERYONE to have access to low-cost care that’s just “adequate” than for only a privileged few who can afford insurance to have access to really high quality care. In the end, I got what I needed, relatively quickly and at a low cost, so I can’t complain too much about the poor customer service. And it’s not like privatized health care in the U.S. is necessarily better quality – there’s a huge variation in U.S. doctors’ offices as well in how easy they are to contact, how long it takes to get an appointment, etc. I just happen to be one of VERY FEW lucky Americans my age to have really good insurance, because of my parents’ employers.